So I joined Google+ today (thanks, Martin, for the invitation), but more importantly I want to write about Google Takeout today. The announcement seems a lot more promising than the current implementation itself. It must have been written exclusively for Google+, becaus that's what Google Takeout focuses on. There is neither Gmail nor Calendar export... Contacts are exported, though, and conveniently grouped into .vcf files (per contact group... and your circles (see, I told you it was designed for Google+). Still a good start. Better than Facebook for now. And I like their mindset... that this is MY data, not theirs. When an ecosystem around this platform evolves that adds new and important features to this platform, the platform itself should not step in and re-create those add-ons. Current (counter-) example: Twitter just added their own photo sharing service, thus rendering e Twitpics and Yfrogs obsolete... who were instrumental in Twitter's success during the last years. In other words: a platform shall not compete with (or against) its developers. I'd like to call this quality trust. In The Plex: How Google Thinks, Works, and Shapes Our Lives by Steven Levy. Excellent reading, good insights into Google; a bit google-sided but not too much. I highly recommend this to anyone involved with or interested in Google... (even the opponents and Google haters). 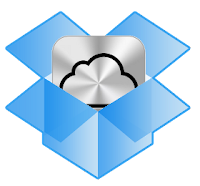 Apple's just announced multimedia cloud storage thingy, iCloud looks like a real threat to Dropbox. Especially if well integrated into the Apple ecosystem (Mac, iOS and applications). Not for me, though; the 2GB Dropbox offers for free are sufficient for me... but thats only because I do not keep music or photos/videos there..
Also Dropbox will probably always be more cross-platform. So I'll keep using Dropbox - and invite you to do the same. The recent (if not still ongoing) Lodsys v. Apple fight over patent infringement around in-app purchase revealed another important criteria for something to be a platform: indemnification. Apple (or any platform provider) has to protect developers for their platform from such claims - whether they are justified or - as in this case - just patent trolls. For a true platform this must never be burdened on the developers. Hope Google/Android will follow Apple's example.